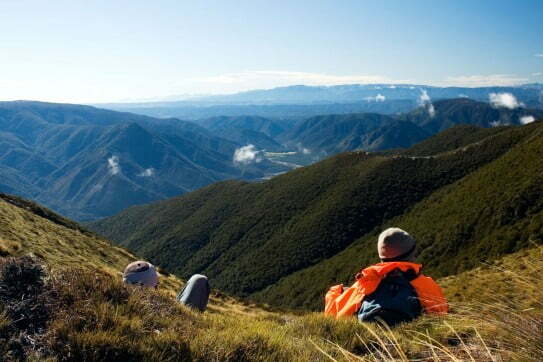 Find our cheapest flights to Nelson from Auckland, Wellington, and Christchurch. Nelson is a place of creativity and action. Discover art, artisan food and all kinds of back-to-nature outdoor adventures. Nelson promises equal quantities of art, beach life, wine culture and outdoor adventures. You can immerse yourself in the region's galleries and studios one day, explore beautiful wilderness the next, then succumb to the glorious temptations of a wine and food trail the day after. Being able to easily flit from one amazing experience to another, with gorgeous scenery in between, makes a Nelson holiday an absolute hit. There's a multitude of creative people living in the area, so expect to find an abundance of originality and general awesomeness. With national parks, sweeping beaches, extensive vineyard areas and acres of tranquil countryside, the Nelson region brings all your holiday dreams within reach. What's more, the weather is routinely gorgeous. The mild climate delivers more than 2,500 hours of sunshine a year, so Nelson consistently rates as one of New Zealand's sunniest places! The best way to get acquainted with the city is to spend a few hours at the Nelson Market, which runs every Saturday morning. There's a multitude of creative people living in the area, so expect to find an abundance of originality and general awesomeness while you're browsing the arts and crafts stalls. There's food and coffee too, so you won't go hungry. Just over an hour's drive from the city is Abel Tasman National Park, loved by hikers and kayakers for its glittering white sand beaches, turquoise water and wildlife encounters. The coastal track takes up to five days to walk, or you can explore the coast by sea. If you want to conquer the track, book your accommodation well in advance. There are Department of Conservation huts and private lodges strategically positioned along the way. One-day experiences are always easy to arrange - a water taxi will drop you into the park, so that you can hike out. Biking is another way to discover this beautiful region. The Tasman Great Taste Trail is a four-day cycle adventure that involves vineyards, breweries and wonderful eating places, as well as ferry rides, forests, tunnels, rivers and beaches. If you don't have time for the entire journey, you can choose a single section. There are several cycle hire places in Nelson city. Nelson is the sunniest city in New Zealand, which means good weather is an all-year-round probability. Because summer is always a busy time for tourism, consider visiting during spring, autumn or winter. There's only 10 degrees difference (Celsius) between average summer and winter temperatures. Te Puketea Bay image courtesy of Nelson Tasman Tourism; Hikers image courtesy of Nelson NZ. 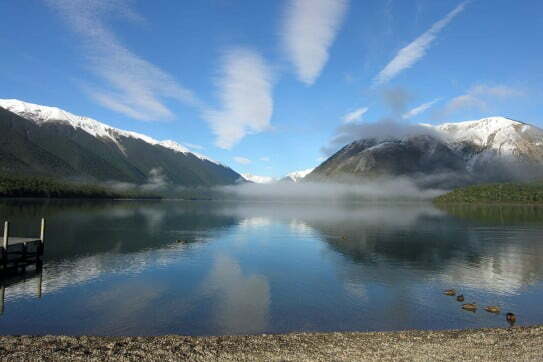 ; Lake Rotoiti image courtesy of Nelson NZ.